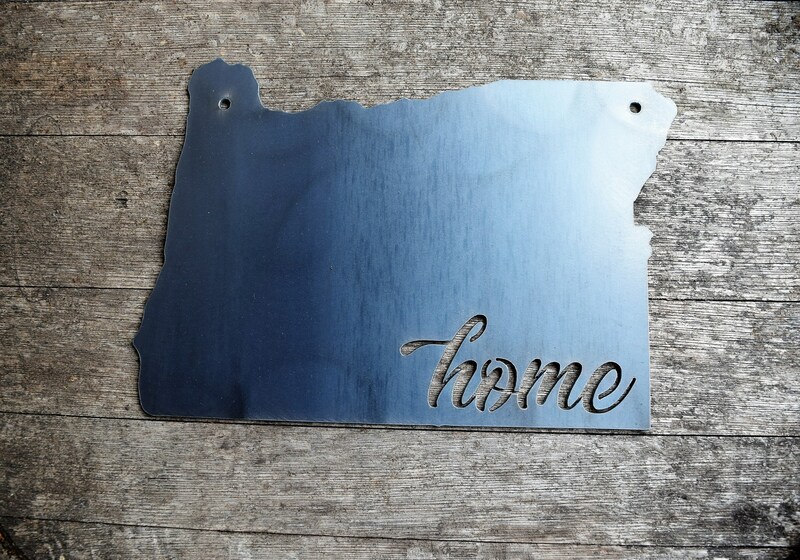 1 sign: " 8" x 12" Oregon Home Sign"
It is made of 14 ga steel. • The "Raw Steel" variation, you will get the item as it comes off the machine (for an industrial look). Irregular scratches and inconsistencies in the metal may be present. 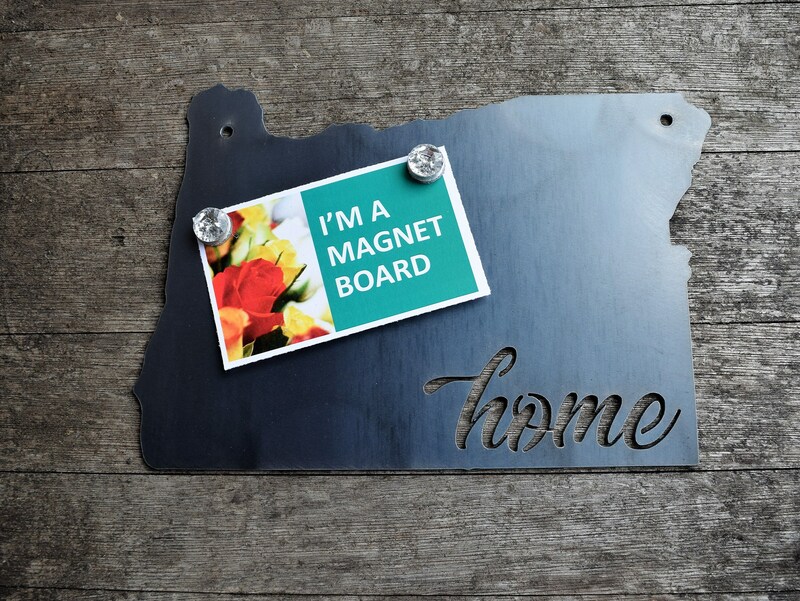 This sign is made out of 14 gauge hot rolled mild steel that is covered with a thin layer of black oxide (magnetite) which is responsible for its dark gray/bluish tint. This layer provides some protection against corrosion, exposure to moisture and humidity can bring out a beautiful patina of rust. If you prefer an ornament without any rust you can polish/rub grade #3 coarse steel wool over the top to remove any and/or all rust. • If you choose the "polished steel" variation, you will be getting nicely sanded/polished signs (no coating) This is the perfect variation for you to apply your own finish/paint. If no coating is applied it will rust and show finger prints over time. Painting helps to prevent rust. If magnets are used on the painted variation the paint will scratch over time. • If you choose "Rusted Steel" variation, you will get the same great sign but rusted! This process takes a little bit of time but we have a solution to speed the process up a bit. The rust is real rust and will continue to change patterns over time.